SALT LAKE CITY (AP) — The Arizona Wildcats were repeatedly punched in the proverbial mouth as Utah put together a furious second-half rally in the Pac-12 showdown. The Utes, however, had no answer for Deandre Ayton. The freshman scored 24 points and grabbed 14 rebounds as No. 14 Arizona never trailed in a 94-82 victory over Utah on Thursday night. “Deandre is like that football team that keeps running the ball and you just say, ‘Are they ever going to pass? '” Arizona coach Sean Miller said. “Then you just know if you’re that team, we’re going to break one. He just wears you out. The Wildcats (12-3, 2-0 Pac-12) have won nine straight since going 0-3 at the Battle 4 Atlantis Tournament in the Bahamas. Rawle Alkins finished with 22 points for Arizona and Parker Jackson-Cartwright added 19. Sedrick Barefield led Utah (10-4, 2-1) with 23 points and David Collette added 19. Utah rallied from a 17-point deficit to tie the game late, but couldn’t pull off the upset. Miller thought his guys took their foot off the gas, but said their experience helped them respond. “It kind of surprised us how much of a lead we had early on,” Alkins said. “I think we started to play to the game. They started to get that run and we responded, but we responded late in the game. That’s why the game felt funny. When we play together, we look unbeatable. The Wildcats took a 14-point lead into halftime behind the outstanding guard play of Jackson-Cartwright and Alkins and held on in the second half as Barefield tried to shoot the Utes back in the game. Arizona shut down the interior as its length frustrated the Utah big men. It outrebounded the Utes 46-23. “I’m not into moral victories, but two things could have happened in that second half,” Utah coach Larry Krystkowiak said, “and we did take the right route and fought and scratched and managed to shoot and make some shots. Barefield scored 20 of his 23 points in the second half and rained down jumpers from around the arc, but every time the Utes made a second-half run, Ayton answered on the offensive end. He scored 19 in the second half. “I’ve been in the gym a little extra this week, so it kind of paid off down the stretch,” Barefield said. “I wish we would have hit some of the shots later in the game. Arizona: Reigning Pac-12 player of the week Ayton may be a possible No. 1 overall NBA pick, but the Wildcats showed they’re more than the 7-foot-1 big man. The guard play was strong, and that was with the conference’s second-leading scorer Allonzo Trier having a fairly quiet night. 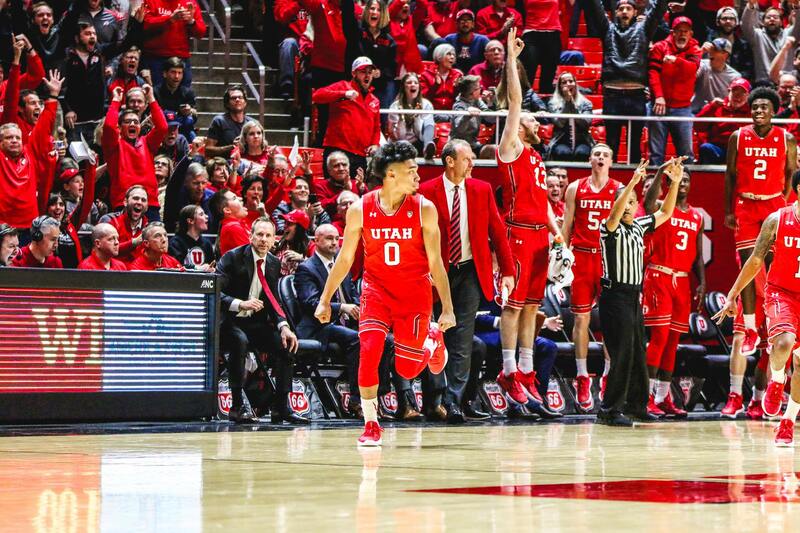 Utah: The Utes regressed in the first half after sweeping Oregon and Oregon State on the road last week, but played with more fire in the second. They were dominated on the interior and Utah will need Collette to play tougher against opponents with size. The Utes shot 36.7 percent from the field in the first half and 51.7 percent in the second. They were 3 for 12 from behind the arc in the first 20 minutes 9 for 14 in the second. Arizona: Travels to face Colorado on Saturday. Utah: Hosts No. 4 Arizona State on Sunday.